Following up on the previous season’s efforts to raise Breast Cancer awareness, the Waterloo Ghosts Novice Gold team made it a mission to make a difference for this important cause. After the team was directly and personally affected by breast cancer during the off-season, a campaign was orchestrated to make “WEAR PINK” come alive. The result? A WEAR PINK campaign that began with a visible sign of breast cancer awareness . . . head-to-toe pink uniforms. The pink Ghosts jersey was capped off with pink hats, belts, socks and hair ribbons, which created a very strong visual for all spectators and participants across the province of Ontario, and into New York and Ohio. Saturdays at every tournament was WEAR PINK day for the girls. The coaches were also part of the WEAR PINK plan, with pink coaches’ shirts, hats and socks. The team was supported by parents and family members who also joined in to create a strong pink force at the diamonds. But the efforts did not stop at the visual reminder. 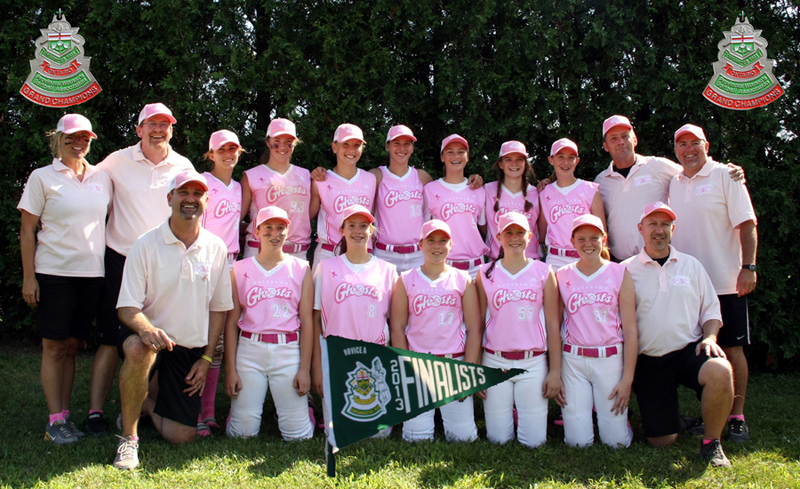 At tournaments throughout the province, the team purchased and sold over 400 Pink Ribbon softball pins, as well as softball-style bracelets, headbands and key chains. All told, the team raised $2000. The money raised was donated to the Grand River Regional Cancer Centre through the Grand River Hospital Foundation. Special thanks goes out to Craig Keller Chartered Accountant and The Sport Zone Waterloo for the financial support and providing the “WEAR PINK” uniform, which had a wonderful impact on all who encountered the Ghosts throughout the 2013 season. 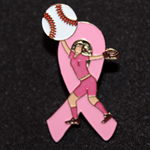 The team looks forward to expanding the mission for 2014…Watch for even more pink on the diamond! Breast cancer awareness pins will also be sold next season. Contact Head Coach Don Oberle if you are interested in supporting the cause by purchasing the 2014 version of the pink ribbon softball pins! How many wells can we build in a year? Hailey, Sam, Samantha and Jessie are working on a year long project to raise money to build wells in Kenya! 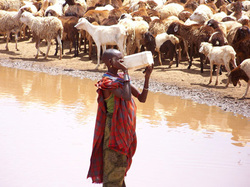 Known as the Water Warriors, they found it very important to take action in Kenya because water effects everything! People are suffering day and night, wanting someone to give them just one glass of fresh clean water. The water they are currently drinking is the same water their waste is going into and it's the same water animal waste is going into! The water is now plagued and undrinkable! They are also suffering through a drought at the moment so it is very important to get the word out. She did it! Hailey surpasses her goal of $8,500 for Kenya. Hailey has officially raised $8,500 that will go towards building a school in Kenya. And how does she feel aout her feat? This has been one of the best experiences I have ever had. Although I am sad to be finished all of the fundraising, I am overjoyed with thoughts that kids in developing cities in Kenya will soon be getting the opportunity to get a quality education by going to this school. I have had so much fun on this amazing journey and I am so grateful for everything it has taught me.